The viewing experience for fans of the TUDOR United SportsCar Championship, Continental Tire SportsCar Challenge and other series sanctioned by IMSA will be enhanced greatly beginning with this weekend’s Continental Tire Monterey Grand Prix powered by Mazda via the new IMSA mobile app. The free app is available now for phones and tablets using iOS, Android or Windows operating systems and features expanded content and experiences for users. Microsoft Visual Studio and the International Motor Sports Association (IMSA) are set to unveil a new cutting-edge mobile app for race fans this weekend after months of hard work. The viewing experience for fans of the TUDOR United SportsCar Championship, Continental Tire SportsCar Challenge and other series sanctioned by IMSA will be enhanced greatly beginning with this weekend’s Continental Tire Monterey Grand Prix powered by Mazda via the new IMSA mobile app. The free app is available now for phones and tablets using iOS, Android or Windows operating systems and features expanded content and experiences for users. TUDOR Championship – Streaming video of races (where available), in-car cameras and qualifying. IMSA Radio and live timing and scoring coverage for all official sessions. Continental Tire Challenge – Streaming video of races. IMSA Radio and live timing and scoring for all official sessions. Porsche GT3 Cup Challenge USA by Yokohama – Streaming video and IMSA Radio of races. Live timing and scoring of practice and qualifying. Lamborghini Super Trofeo – Streaming video and IMSA Radio of races. Live timing and scoring of practice and qualifying. Cooper Tires Prototype Lites Powered by Mazda – IMSA Radio race coverage and live timing and scoring for all official sessions. Premium registrants also have the opportunity to customize their experience by selecting their favorite participating TUDOR Championship manufacturer including BMW, Chevrolet and Porsche. The app was created with development partner, InterKnowlogy, using Microsoft Visual Studio and Xamarin software and Microsoft’s Azure cloud computing platform. It will be featured in the keynote speech in a pair of upcoming Microsoft conferences, the BUILD 2015 conference in San Francisco beginning today and running through Friday, May 1 and the IGNITE conference in Chicago on May 4-8. The enhanced app is available now for iOS, Android and Windows Devices. Users can download it for free in the iTunes store, Android market and Microsoft Store. 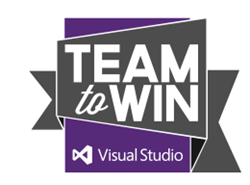 Microsoft Visual Studio 2013 is an integrated solution that enables individuals and development teams of any size to turn their ideas into exceptional, compelling applications. It enables all stakeholders involved in software delivery to take advantage of state-of-the-art tooling to create outstanding experiences that delight end users with a simplified development solution that enables quality through all the tasks and roles involved in a software project. For more information, please visit http://www.microsoft.com/visualstudio.